The discrete and exclusive insert Scan 1001 is designed by Halskov & Dalsgaard Design. The design is feminine and functional with innovative details such as front glass with black or white decor and a unique glass handle that stays cool. Scan 1001 is a flush insert, available with either a white or black decorative frame on the front glass. The trim is available in black or matt chrome. 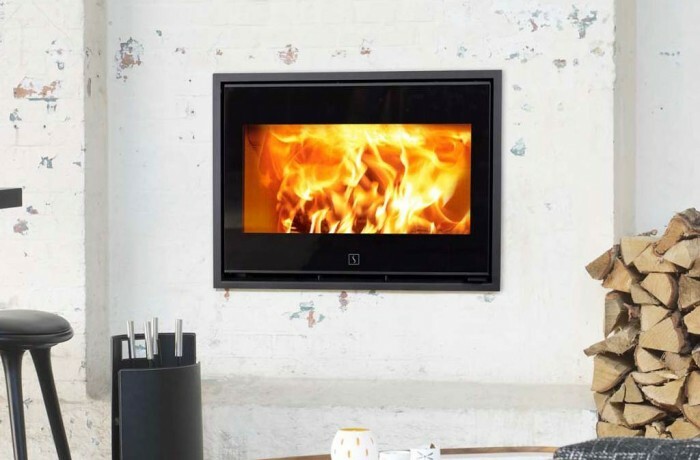 Scan 1001 takes logs up to 33 cm and can be delivered with right- or left-hinged door.